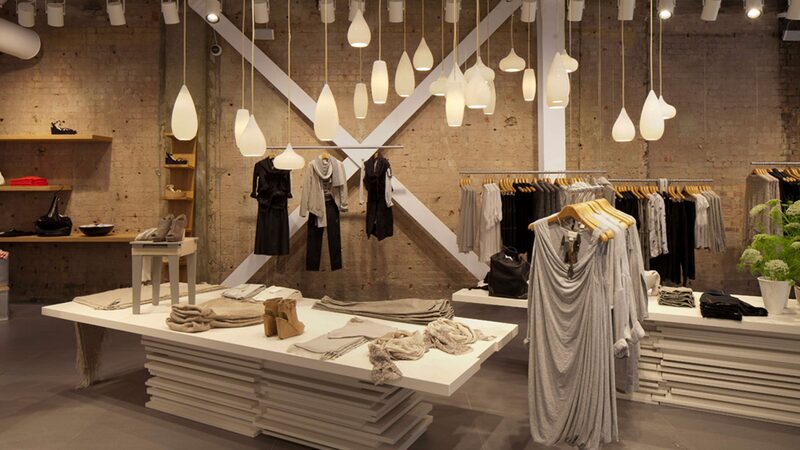 Retail environments have changed, and with that the role of lighting design has changed. Lighting is no longer solely about function and making sure merchandise is well illuminated. It’s evolving into an effective branding and marketing tool, culminating in an enhanced consumer experience. Light can drive emotion and it can manipulate consumer behaviour. This makes it a very influential tool in retail stores so it should not be underestimated. Get underneath the brand and its philosophy. A retail store’s lighting scheme can help reflect the brand and/ or form part of it, so one of the first steps is to understand the brand message, and then define the user experience and ambience by asking key questions such as: What should the customer feel? Should the space be dark and moody, or light and airy? Determine the type of retail landscape. Does a store’s layout frequently change and is there a fast turnaround of products? In these instances flexibility is key, meaning the lighting scheme needs to be more homogeneous and staff/ visual merchandisers need to be trained in regular re-focusing of light fittings (to suit the products). In high-end retail stores the need for flexible lighting tends to be less so – for example, light is often integrated into joinery that doesn’t move, so even though the merchandise changes the location of that merchandise doesn’t necessarily change. The correct use of contrast – the balance of light between merchandise and surroundings – in a space is fundamental. This can be extreme, for instance in a dark and moody space the ratio might be 50:1 in favour of the merchandise. Whereas at the other end of the spectrum, in a light and airy space, the ratio might be 2:1. What’s important is that the contrast ratio doesn’t flip the other way – illuminating circulation or surrounding space to a higher level than the merchandise is never good. The right contrast is achieved by combining layers of light. Accent – directly illuminates and visually elevates merchandise, usually through spotlights. Ambient / Background – base level lighting that generally illuminates circulation zones and merchandise via a soft wash, and provides safe and functional illuminance levels. Feature / Decorative – illuminated display cases, wall lights, floor lamps, chandeliers etc. No matter of the form, it has one main role: to create feature that draws the eye into the space. This layer can also represent a brand and give it character, and when used alongside architectural lighting it can be a cost-effective way to fit-out a large store with an impactful brand standard. Audiovisual – light emitted from video screens. Lighting and digital media are becoming one and the same so audiovisual lighting, where relevant, should be amalgamated into the lighting scheme. Signage / Wayfinding – the eye is always drawn to the brightest point in a space, so for successful navigation considered illumination of signage is important, whether it’s integrated or onto it. To create a bright and airy space light the vertical surfaces instead of the horizontal surfaces (remember, most retailers don’t sell floors). Illuminating the verticals will draw the eye, define boundaries and decompress a space. This can be achieved via spotlights, downlights or cove lighting. Focus lights properly – it’s the merchandise that needs to be illuminated properly, not the floor. This is an easy win for retailers, yet it’s often overlooked. As mentioned earlier, ensure staff/ visual merchandisers are trained to re-focus luminaires when merchandise moves and/ or a store changes. Create visual permeability by accentuating brightness at the threshold, foreground, midground and background. This generates a sense of rhythm that will draw consumers in and through the space. Remember, the eye is always drawn to the brightest part of a space – if that’s the front of a store the eye will not be drawn further inside. Quantity and quality of light are very different things. It’s not about the amount of light; it’s about the quality of the light. Consumers don’t want to get home after purchasing a product to find the colour is different from that in-store (particularly important in the beauty industry). The colour rendering of a light source measures its ability to accurately reproduce the colour of an object – it’s recognised as the Colour Rendering Index (CRI) and this is why light sources with a high CRI should be used, because they provide the most flattering and true light. It might mean spending a bit more but it can add value to the bottom line. Light sources also differ in colour temperature. Measured in degrees Kelvins (K), the colour temperature indicates how visually ‘cool’ or ‘warm’ a light source is. The lower the number the warmer the light and the higher the number the cooler the light: 1500K resembles candlelight, whereas 6500K is a cold light similar to daylight. Most fashion retail tends to be around 3000K, whereas cosmetics retail can be around 4000K. Two light sources might look the same but perform very differently. With this in mind try and avoid mixing different types of LED because differences in light colour/ quality will be easy to see and result in a busy looking lighting scheme. LEDs are a formidable tool in retail because they can also be used as an advanced marketing and sales tool. State-of-the-art luminaires can communicate through smartphones, tracking consumer movements and subtly increasing light levels to focus on products. Fitting rooms are where a high percentage of purchasing decisions are made. Consumers want to look and feel good so the lighting should be flattering but also honest. To achieve this, balance surrounding ambient light levels (e.g. vertical illumination along mirrors, wall lights or coffer lighting) with a few carefully positioned (to reduce shadows) downlights. Designing for social media ‘moments’ is becoming more and more relevant in retail lighting. Getting the perfect shot requires the right lighting: shadow and flicker free, a level of brightness so high definition cameras can easily pick up what’s being photographed etc. However, this type of lighting might impose on the rest of a store, depending on its look and feel. For example, a bright corner in a dark and moody store would ruin the space; in a light and airy store a bright corner could work, but it would have to feed back into the overall look and feel. This is why selecting a specific location, such as fitting rooms, for ‘instagrammable’ photos is often a more straightforward solution. With the exception of feature/ decorative luminaires the lighting should not be a main feature. Most retailers don’t sell light fittings so they shouldn’t be a distraction from the actual merchandise. The miniaturisation and integration of lighting helps with this. Lighting control systems in retail should be considered carefully. 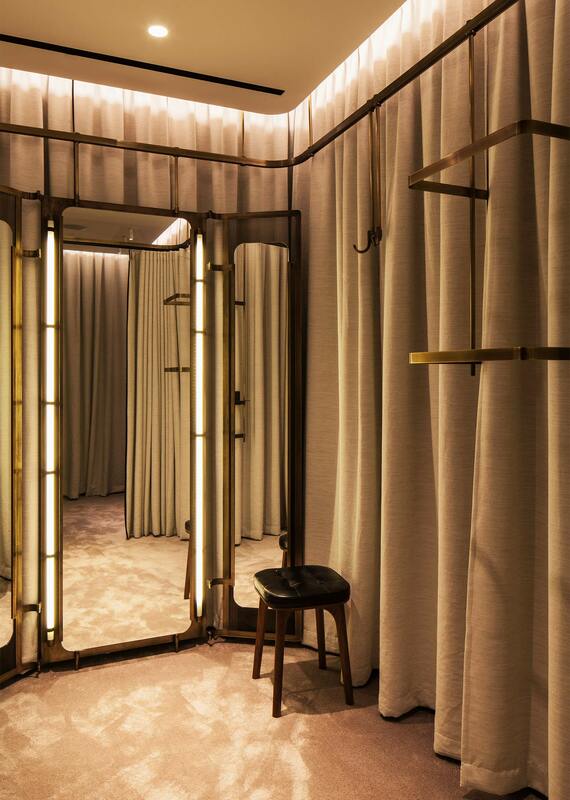 In fitting rooms different scenes can personalise the experience and create the perfect selfie, and a dynamic installation might require one. However, beyond these examples the role of control systems is debatable because consumer dwell times don’t tend to be long enough for them to be beneficial. For instance, daylight linking around a store’s entrance can be pointless because it’s not an area where people hang around. Allow for the maintenance of luminaires; they need to be accessible, along with remote drivers and control gear. This is particularly important with integrated lighting. Saving energy can be a priority in retail environments. Apply light only where it’s needed to help reduce costs – fewer light fixtures means lower capital expenditure and lower energy consumption. 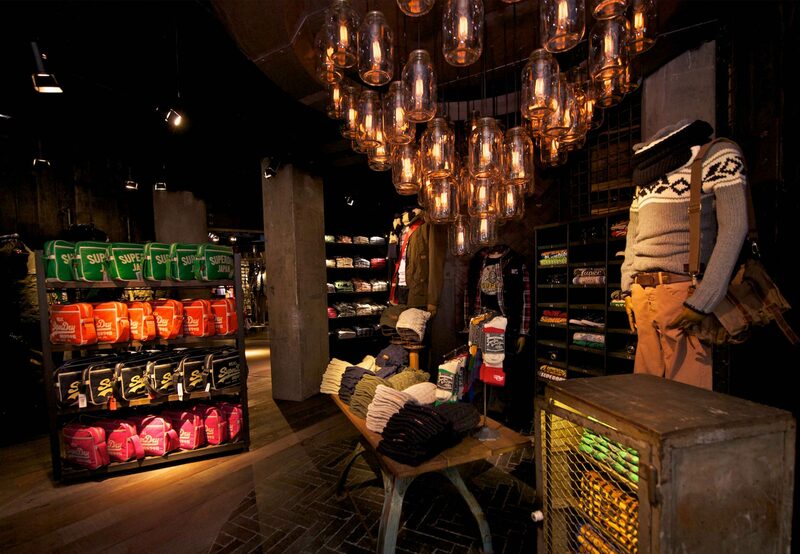 All-in-all technology plays a large part in retail lighting design. But it’s also the considered application and emotional empathy that sets apart the very best and most successful lighting schemes; the schemes that help increase brand awareness and encourage sales, and help reduce the retailer’s costs.